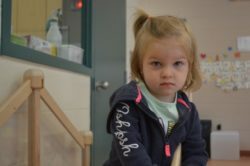 Good Beginnings at Algonquin is a school-based early learning and child care centre located in Algonquin Public School. 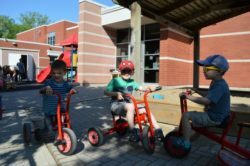 When this program opens in the morning, the children from the before and after school program which Good Beginnings operates at Algonquin school, start their day in the child care centre. This affords the opportunity for those children who have younger siblings to spend a little extra time together in the mornings. 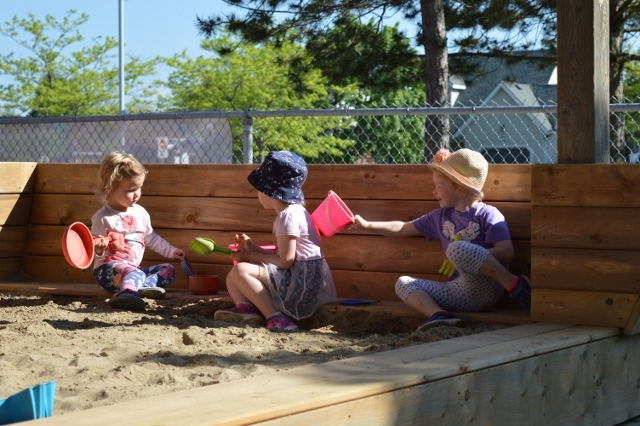 This school based program allows friendships to build with peers who will be attending full day kindergarten with them at Algonquin school. 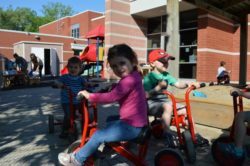 It is a great way for children to start school in September, feeling comfortable because they already have friends in their classroom. It also reduces stress for families, who may only have to stop at one location to drop off and pick up their preschooler and their school-aged children. The early learning and child care centre are included in activities which occur at the school, such as students, reading buddies, and school assemblies. 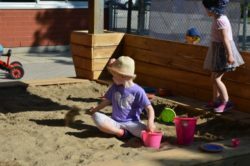 The children have the opportunity to see teachers welcomed into the centre to communicate with their Educators, and love talking to the custodians, who they know by name. Attending a school-based centre is a great way to build relationships before starting school. This location offers child care services for toddlers (children aged 18 months up to 30 months) and preschoolers (children aged 30 months up to 6 years). 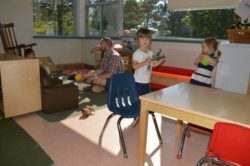 This location is licensed for 31 children.